Twenty years ago, when I first visited Málaga, it was the ugly stepsister of Spain’s Costa del Sol: a little scruffy and down-at-heel (though with gloriously sunny weather and a seaside location). 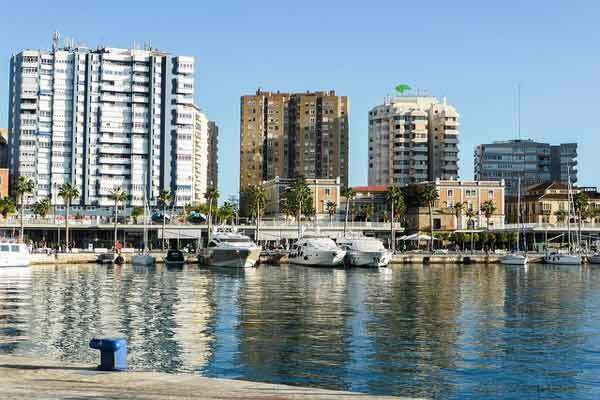 So it was a pure pleasure to return recently to find it transformed into a Cinderella: one of Spain’s most liveable—and affordable—cities for coastal living. 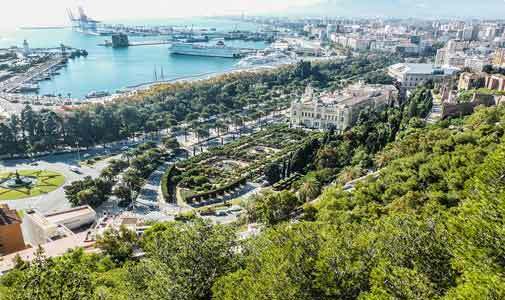 Today’s Málaga is clean and bright, with a pedestrian-only city centre and a revamped harbour area that is a joy to stroll. The city is brimming with museums, great dining and plenty of shopping to suit all tastes and budgets. Happily, the best of the “old” Málaga remains, as well. The sun still shines, there are miles of seaside, winter temperatures are balmy (days average 17 C in January)and sea breezes still blow off the Mediterranean, cooling the hot summer days. And Málaga is still cheerful and vibrant, oozing its trademark Andalusian charm. 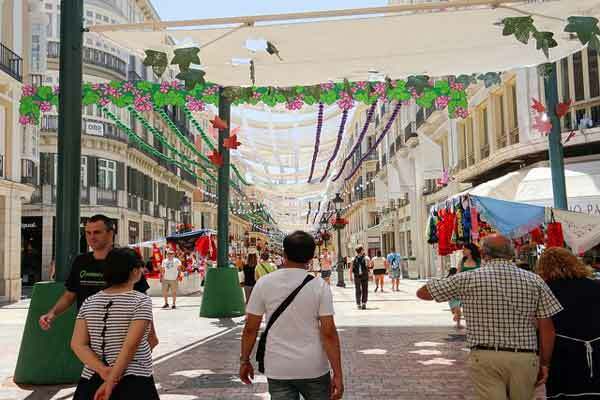 Simply walking up Calle Larios, the broad, pedestrian-only avenue that is the heart of Málaga’s historic centre, can lift the spirits. Shops and restaurants line both sides of this wide, tile-paved street. Benches, colourful flower stands and tall, graceful streetlights march at regular intervals up the street. Four or five storeys above ground level, a series of huge canopies is strung across Calle Larios, shading the strollers below from the blazing Mediterranean sun. Pavement cafés and wine bars, their tables shaded by large umbrellas and with white-aproned waiters at attention, are everywhere. 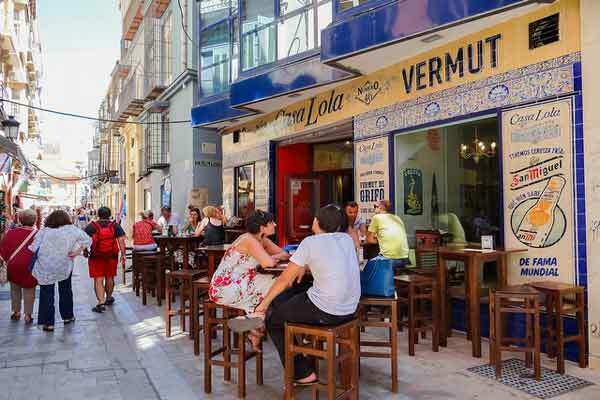 This is where trendy Malagueños come for a drink or for lunch in town after a busy morning shopping. 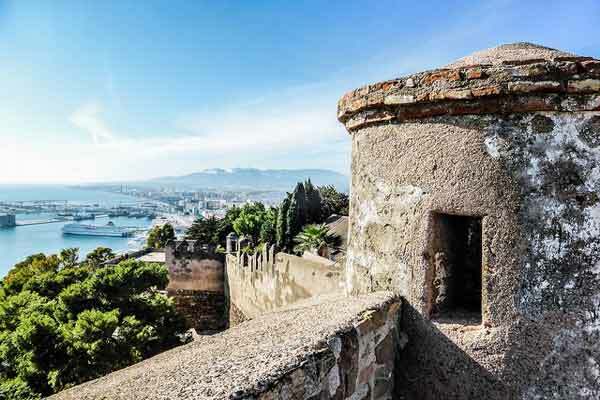 Walk south from Málaga’s historic centre and in minutes you reach the port area. You’ll find quays for commerce, cruise ships, yachts and pleasure boats. You can also get ferries here to Melilla, the Spanish-owned enclave in Morocco, the coast of North Africa is just under 130 kilometres away. In recent years part of the port area has been smartened up. Green park areas border the avenue that runs along the sea, while a long paseo marítimo (boardwalk) runs along the water itself. Muelle Uno or Wharf One, a long wharf of shops and restaurants, is a prime draw and is nearly always hopping with activity. 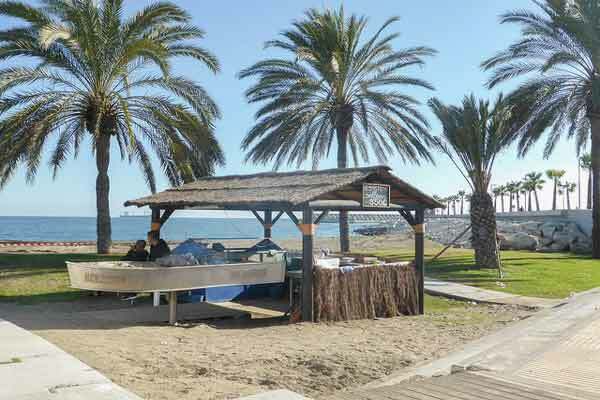 And the entire Costa del Sol itself a roughly 160-kilometre stretch of blue Mediterranean is accessible from Málaga, which sits roughly at its centre. A suburban commuter line (the C-1) from Málaga’s main María Zambrano train station heads west along the coast as far as Fuengirola, with stops that include the Málaga international airport and the tourist towns of Torremolinos and Benalmádena. Bus lines serve other areas of the coast. Right in the historic centre, for instance, one-bedroom apartments of around 46 to 55 square metres sell for prices starting at about €140,000. (That’s about $223,026.) An apartment like this can rent long-term for around $1,020 a month (about €640). Go a mile or so out, though still in the central district and you can get a third more space for the same price. Though the historic centre is rich in charming cafes and shops, its busy tourism and its relative lack of shops for day-to-day living may make it more suitable for short-term holiday stays than for full-time living. But no worries: Málaga offers many other options. Huelin, is just a kilometre or two from the centro histórico in the district known as Carretera de Cádiz. Twenty years ago, the city was just expanding the paseo marítimo out this far. Since then, Huelin has cast off its working-class, fishermen’s roots to become a lively, middle-class neighbourhood of good-quality apartment housing, plenty of bars and restaurants, supermarkets and other amenities. City bus and metro service is frequent and the long-distance bus and train stations are not far away. In Huelin you can still find some one- and two-bedroom apartments for sale in the low €100,000s (about $159,000). And $1,000 in rent can get you up to 83-square-metres of living space. Day-to-day expenses are low, too and you can enjoy a long summer evening at an outdoor café here, spending only about $7 each for generous tapas. Similar neighbourhoods are nearby. If you plan a longer stay in the area, it’s worth looking beyond the centro at the string of neighbourhoods near the sea. Restaurants and bars abound in Málaga. The city gets about 300 days of sunshine a year. And with temperatures even in winter reaching the mid-teens C, outdoor restaurants, called terrazas, are a welcome option almost all year round. Outside the historic centre, tapas can run just a couple of euros apiece and a draft beer about €1.50 ($2.40).For grocery shopping, major supermarket chains like Mercadona, Carrefour and the grocery floor of El Corte Inglés department store are all available, among many others.